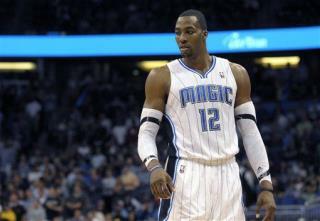 (Newser) – The NBA world is abuzz with ESPN reports of a huge four-team trade that sends Orlando star Dwight Howard to the Los Angeles Lakers. Denver and Philadelphia also got in on the deal, which involves at least 10 players and all kinds of draft picks. Kobe Bryant is said to be "ecstatic" about his team's new addition, though the league still must sign off on it. This is a guy who was trying to escape the shadow of Shaquille O'Neal (even though he likes to call him self Superman just like the big guy) and is now headed to L.A. with the same resume as Shaq plus four years. I wonder if he signs an extension?